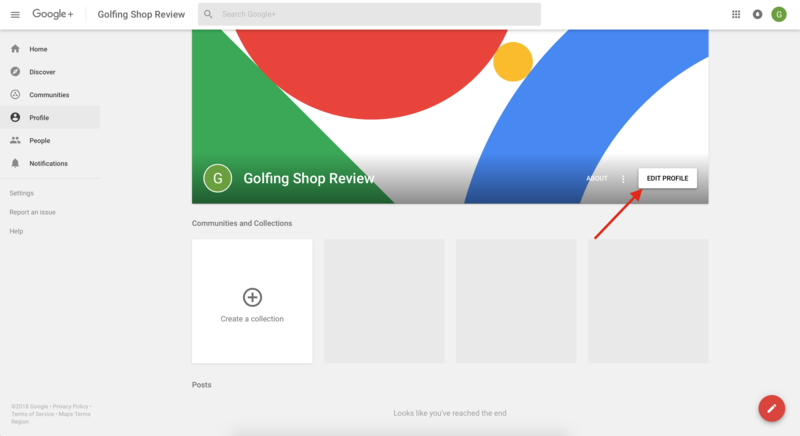 This guide will show you step by step on how to setup your Google + brand page for your Fresh Store Instant website. 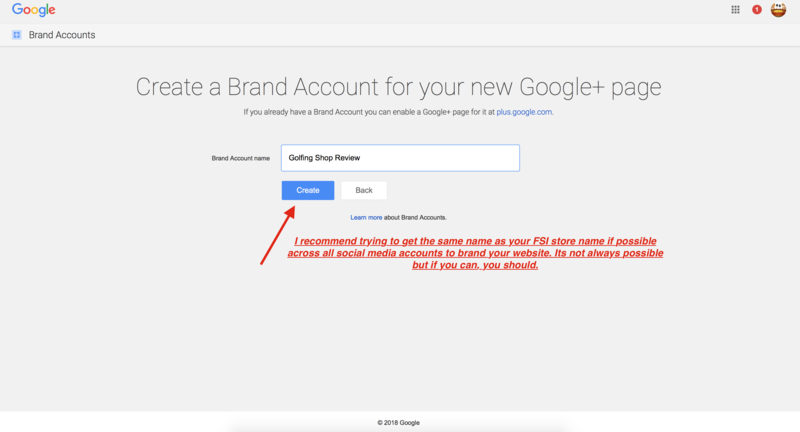 This is very important to do for any new website, its a quick way to get backlinks on powerful social media websites. 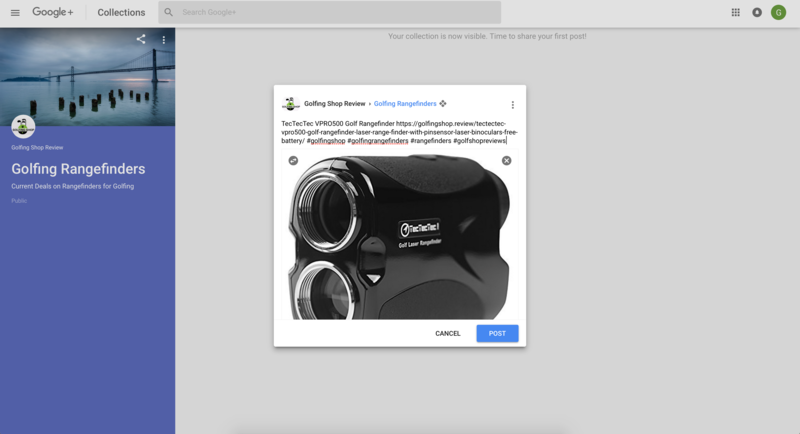 We have guides on how to setup your brand on Twitter, Google and Facebook and more to come soon. 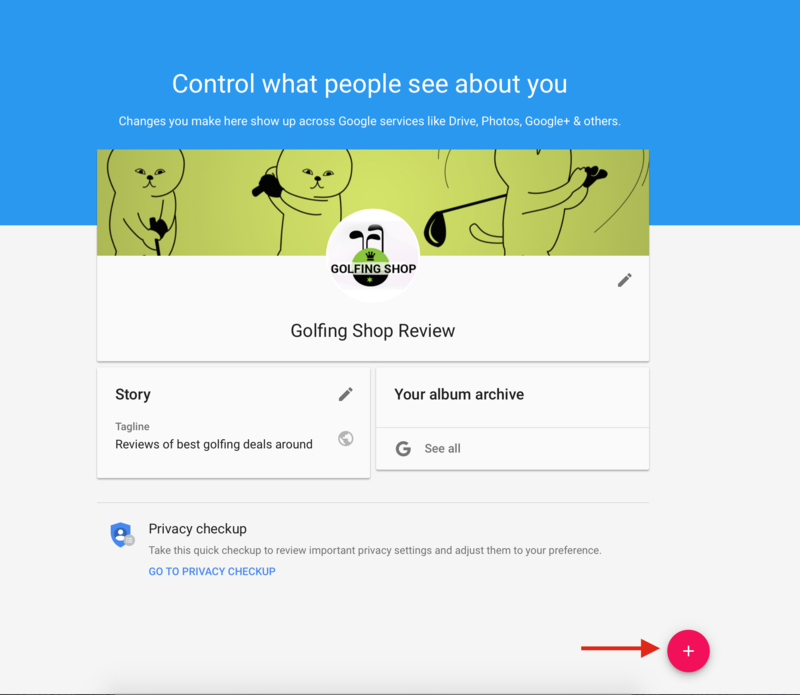 I recommend you login with your personal gmail account. 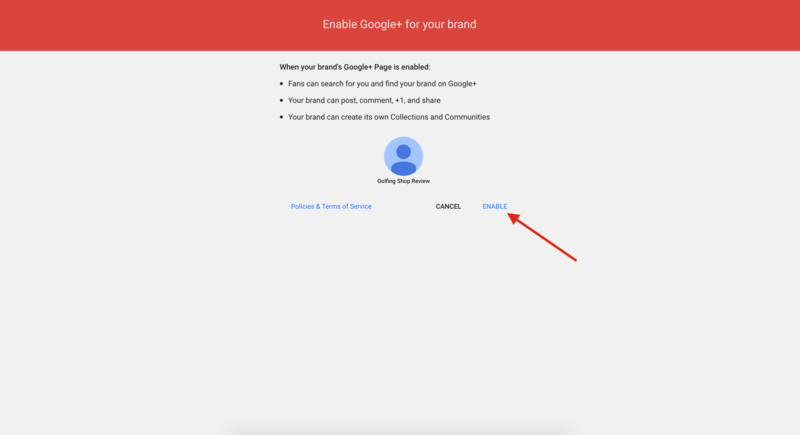 You can setup multiple brand pages under the same email and your personal email will not be seen on the brand pages. 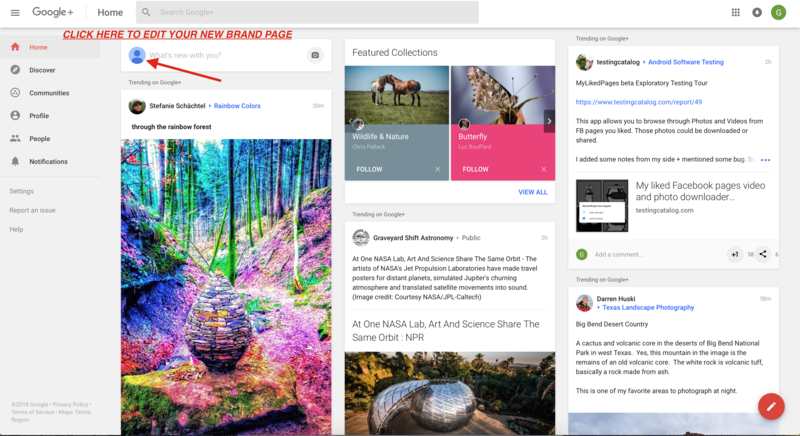 Pick a name for your new google plus page. We recommend trying to keep the names the same across all social media websites. Its not always possible, so don't stress if you can't use the name you want. 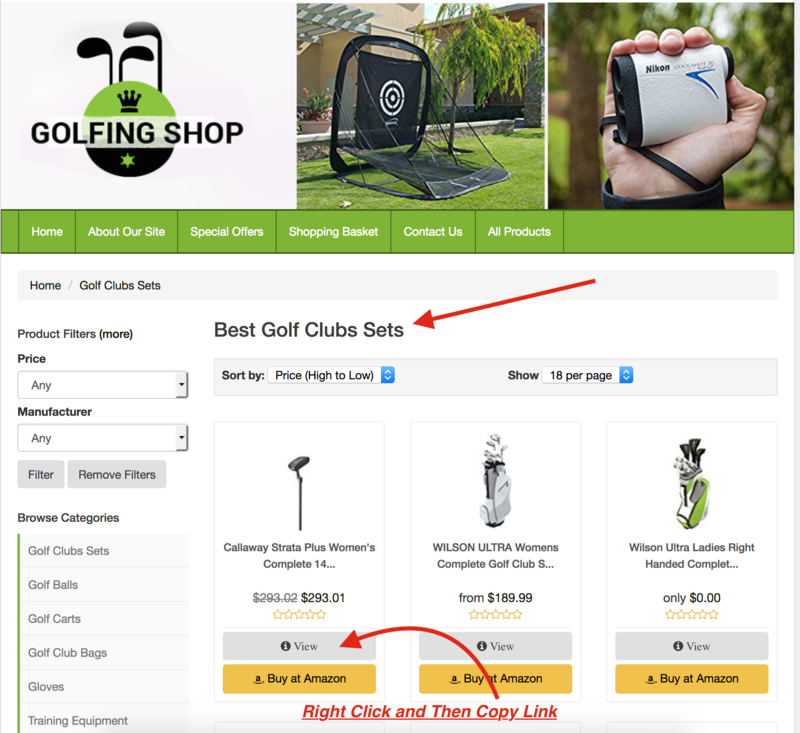 Now that your new page has been created, you will need to do some basic setups before you can start posting product links from your store. 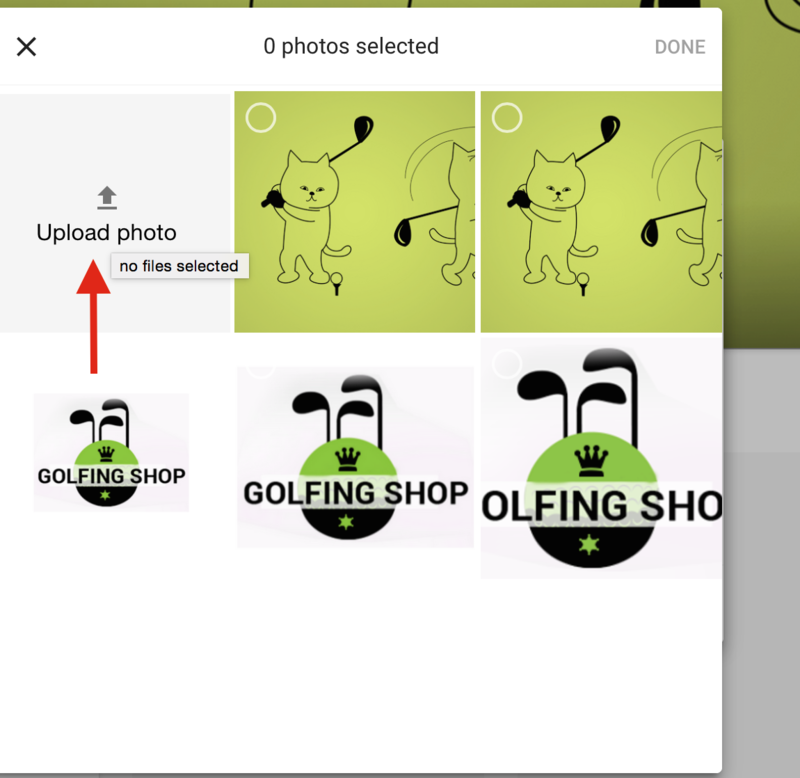 Step 2: Setting Up Profile Settings and Uploading Images. Click on your empty profile image to be taken to your settings page. 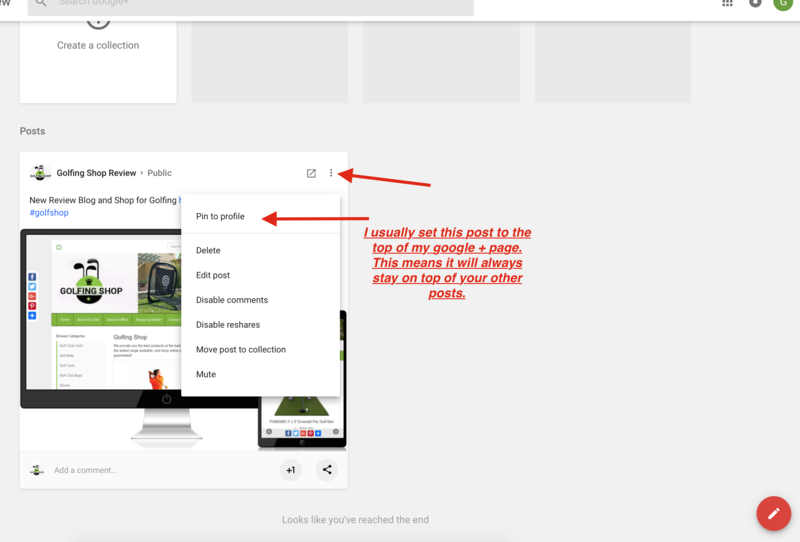 When you click EDIT PROFILE, you will see a page similar to the one below. From this page you can upload a profile image, banner and other settings for your page. Make sure to click Save if you make any changes on the page below. 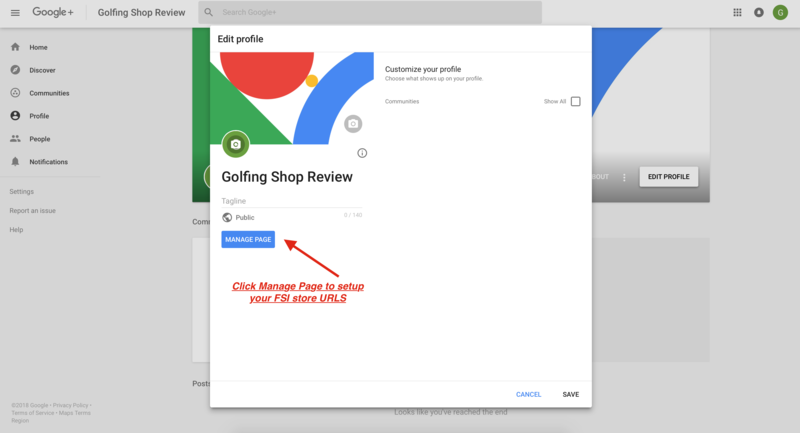 Now its time to setup your Store URLs to be listed on the brand pages. 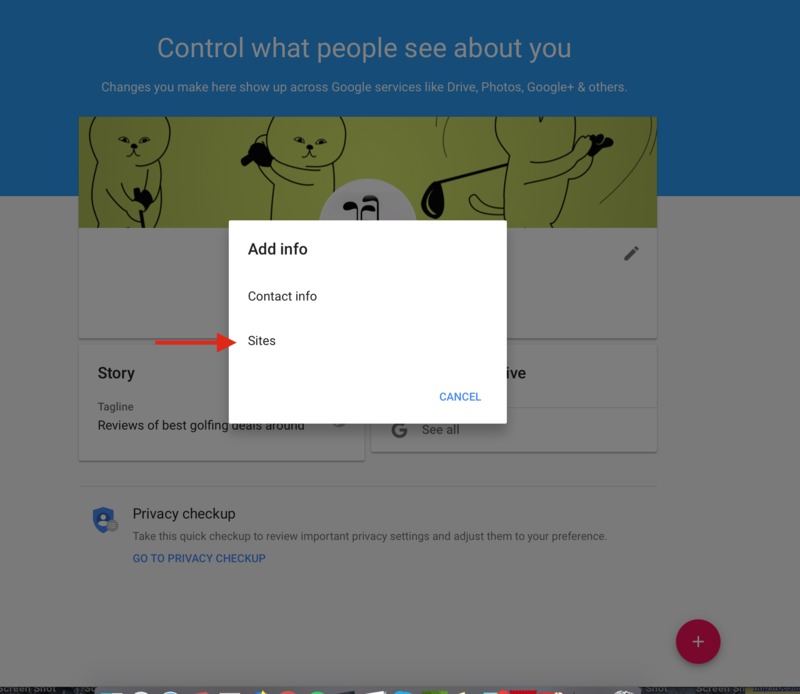 You will need to click EDIT PROFILE and then click on the MANAGE PAGE button. On the Mange Page, you will need to click the + icon and then on Sites to add your links. On the SITES tab, I normally add the main website url, some categories and content pages if you have any. You can change these at anytime. 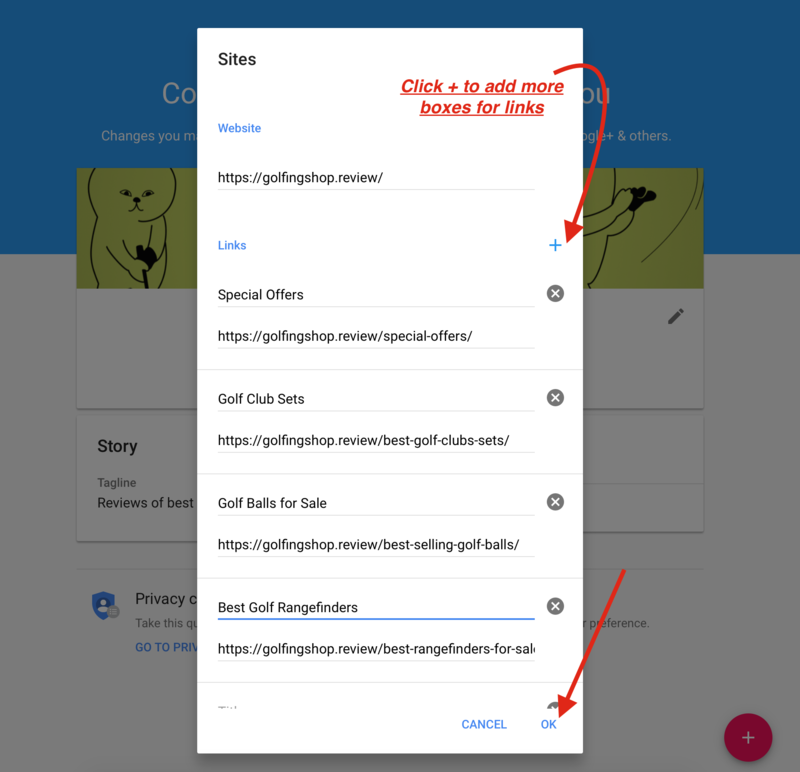 Make sure to click OK to save your links. 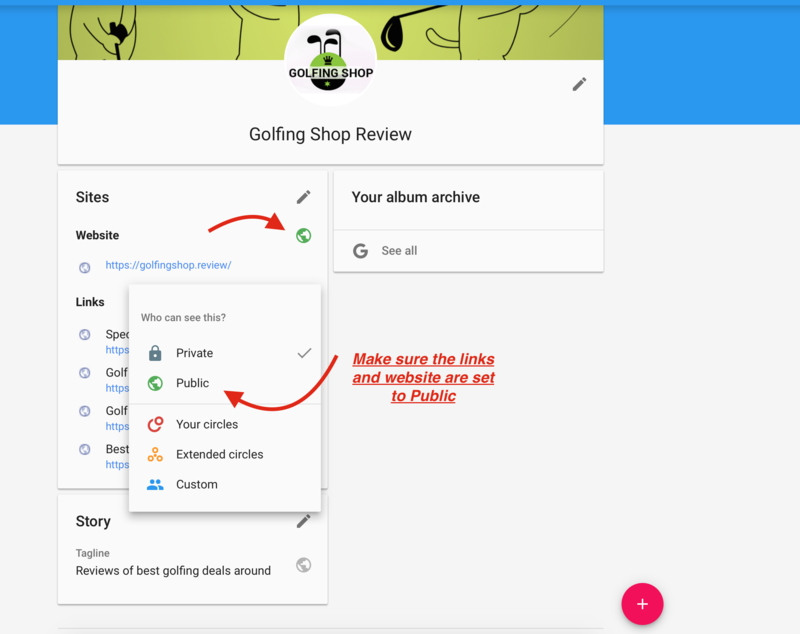 You can also add links to your other social media pages on this same page. 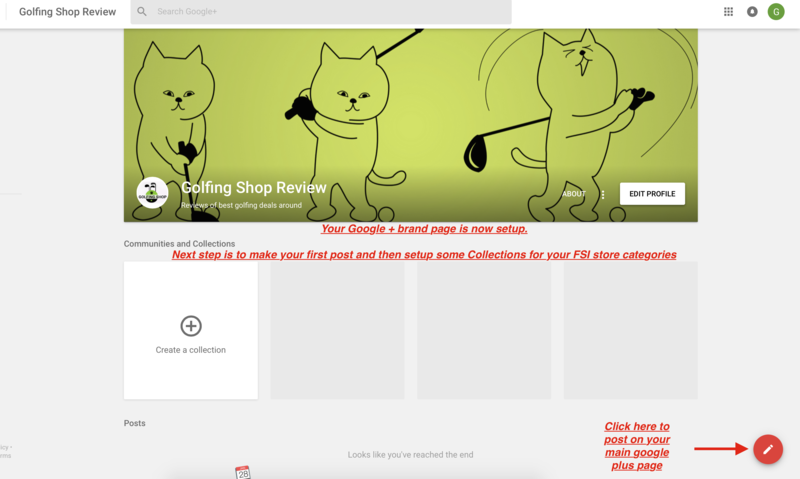 Step 3: Making your first post and finishing up the setup process. 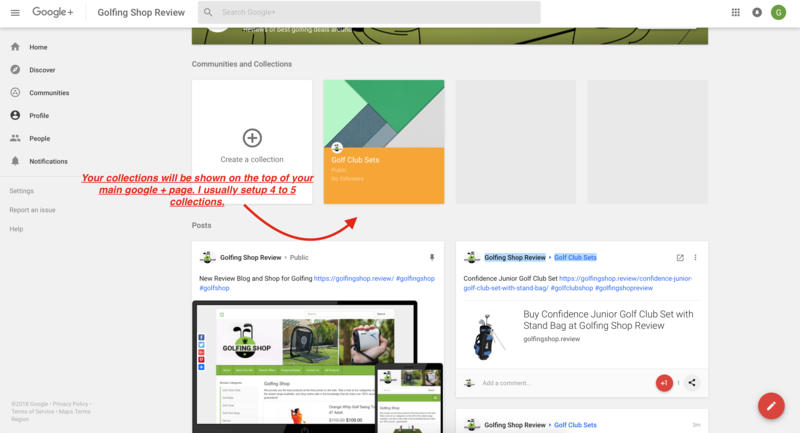 Click the icon shown in the image below to make a post on your main public brand page. 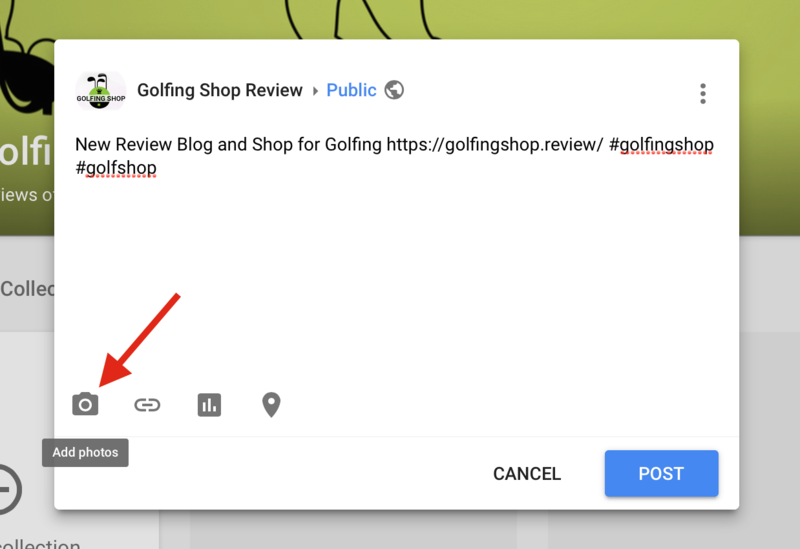 Enter your URL for your Fresh Store Instant website and write a short message and include some hashtags. 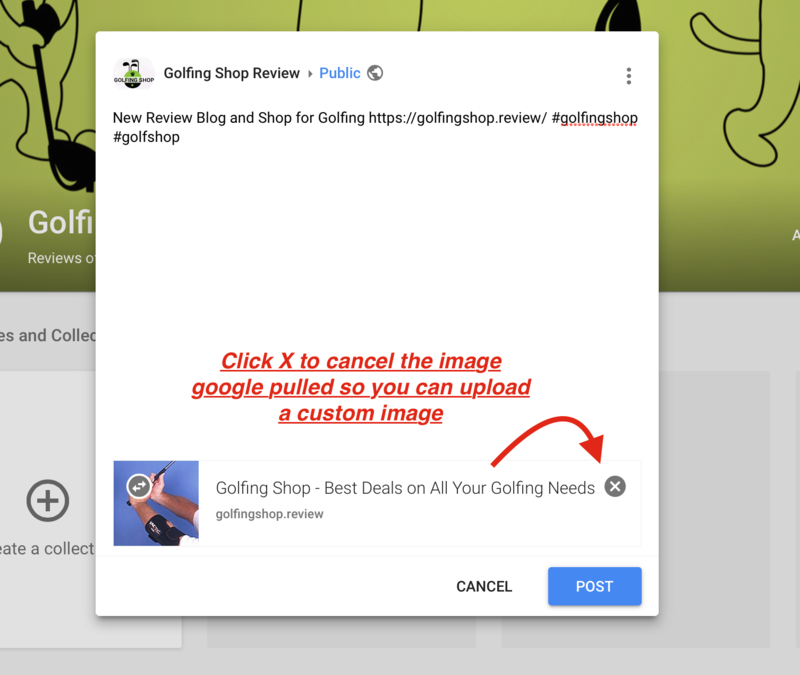 Click the X icon to upload a custom image for your first post, which will be a sticky post on your file page. If you would like to use the same image I created below, you can go to Page2Images.com and generate your own image to use. 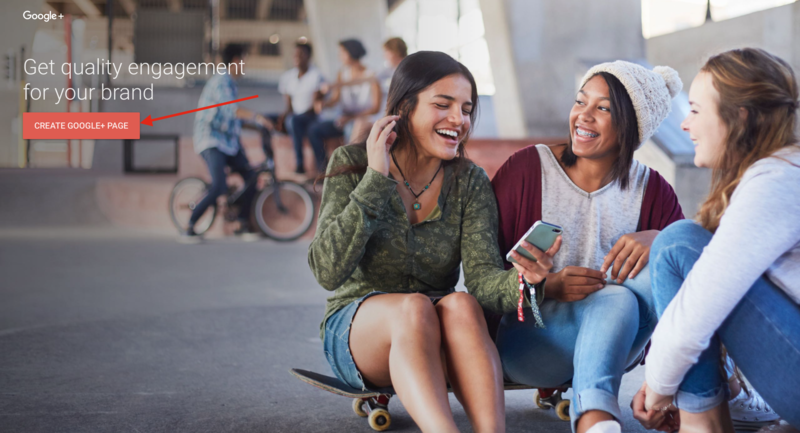 After posting your first link, make sure to pin it to your profile page. This will keep this post at the top of your profile page. 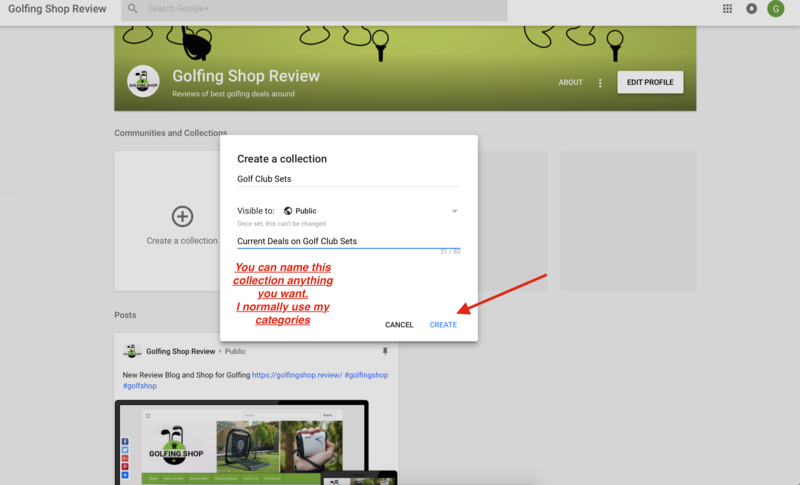 Step 4 - Setting up Your Collections. 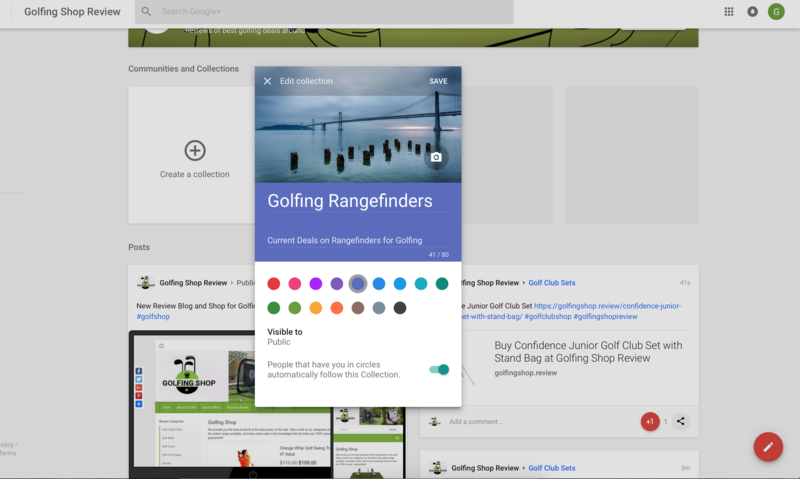 This is a great way to create backlinks for your fresh store instant categories and adding backlinks to your products. 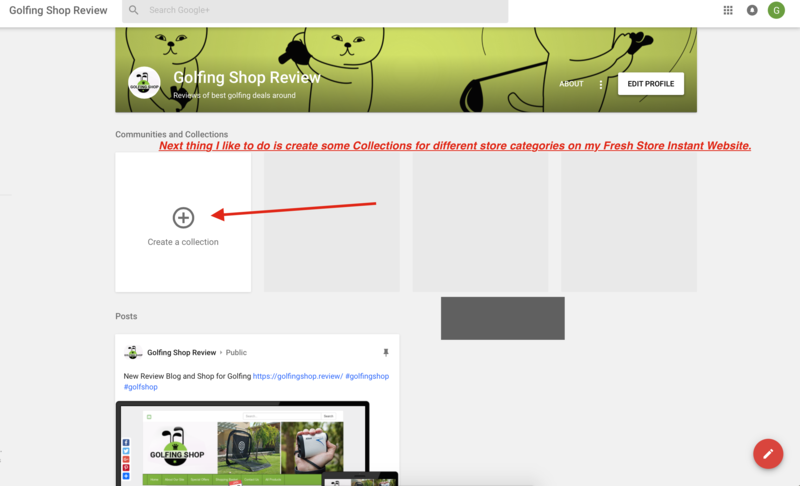 In this guide I created 4 quick collections and posted items into each one by just copying and pasting the product links from my Fresh Store Instant website. Its very easy and quick to set these up. Just click CREATE A COLLECTION icon on your profile page and you will get a new window to setup your collection. 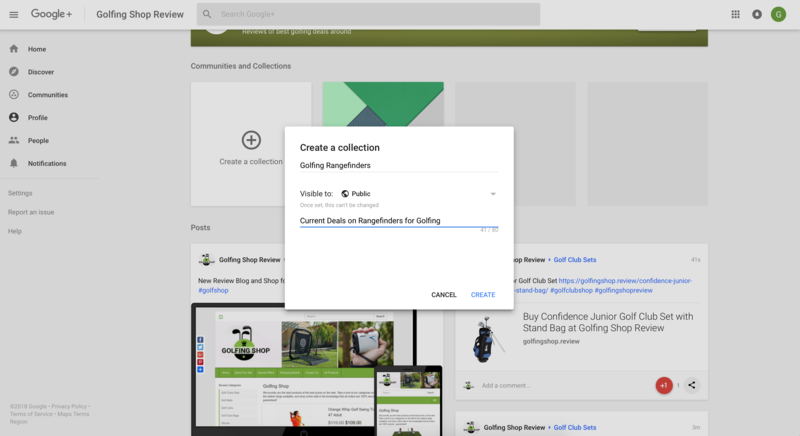 You can upload a custom banner for your Collections. 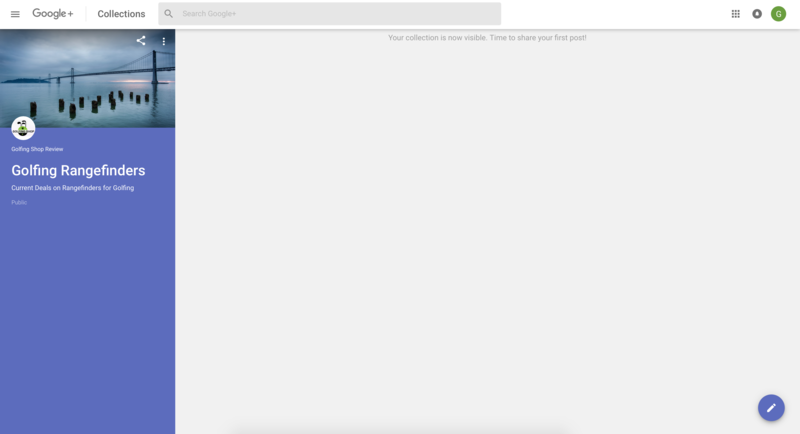 This is how a new collection will look like, it will be empty until you share some links in there. 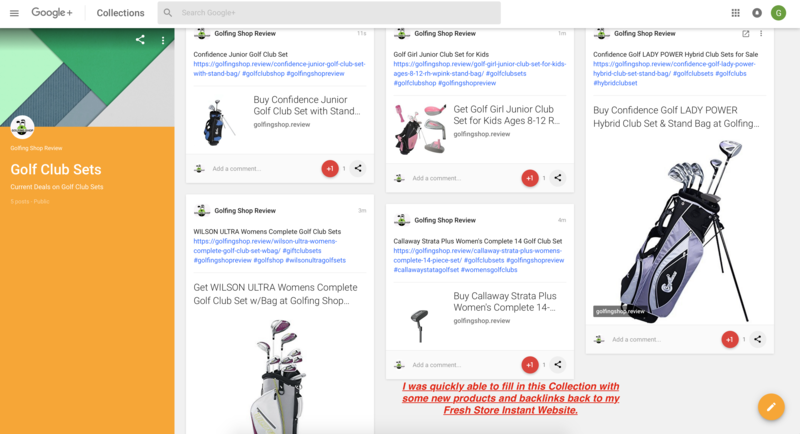 I just go to my Fresh Store Instant website and quickly copy and paste links to share. 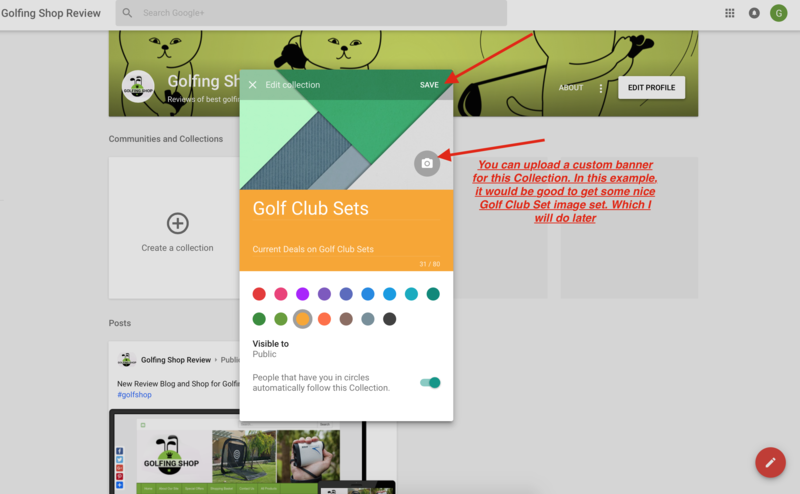 When you paste in the product link, it should auto-pull the image for the product. 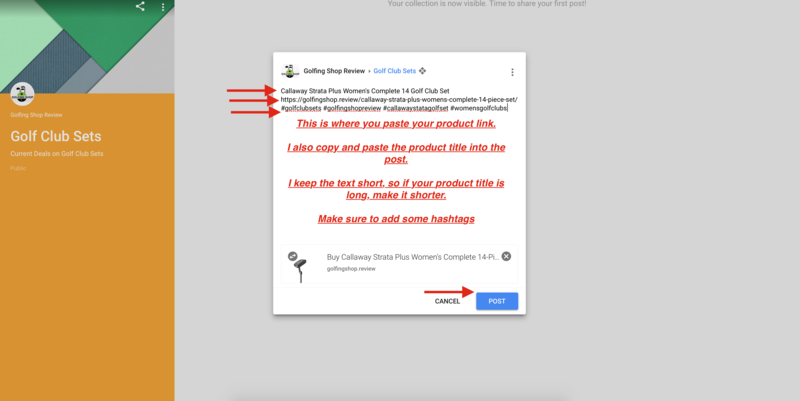 Then I just recommend taking your product title (if the product title is too long, make it more shorter SEO friendly) and pasting that before the link and after the link add some matching hashtags as shown in the image below. 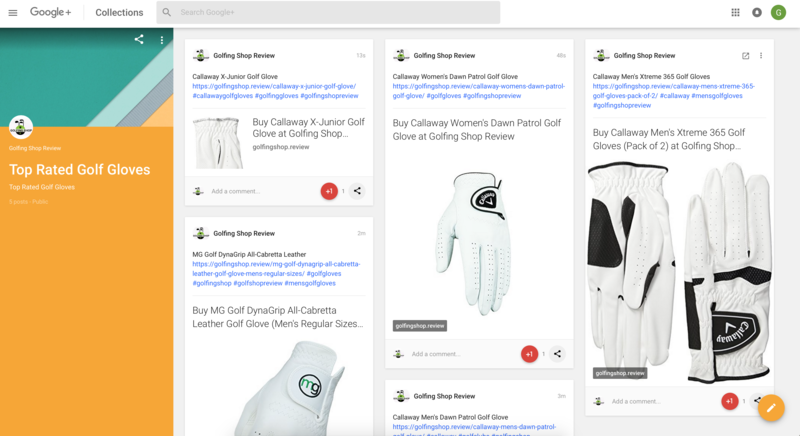 The image below shows the 4 products I shared from my Fresh Store Instant website into my Golf Club Sets collection. The images below will be the same steps above, I'm just doing the same process for other Collections. 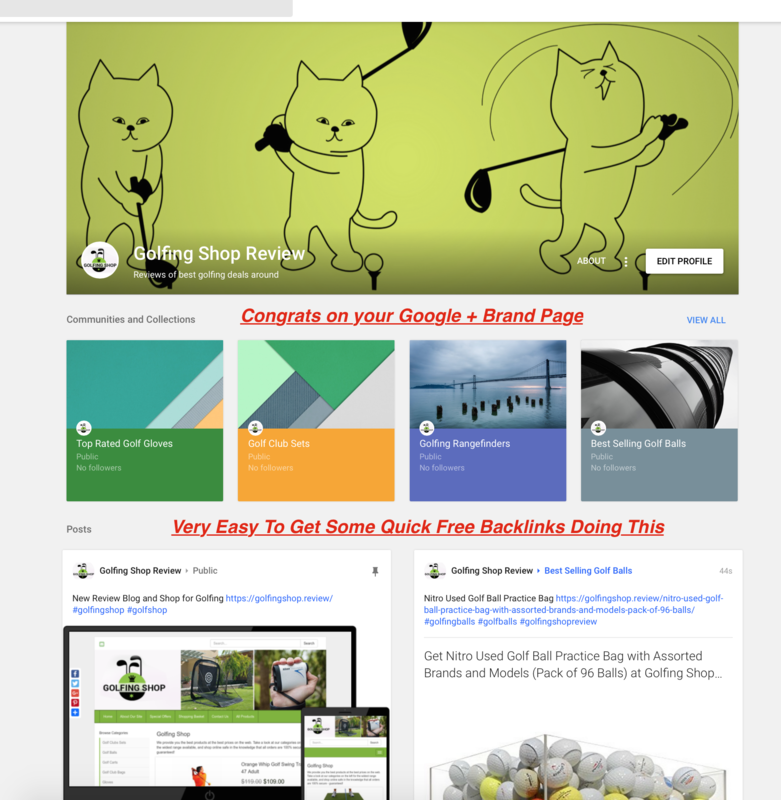 Congrats on your new google + brand page for your Fresh Store Instant website. 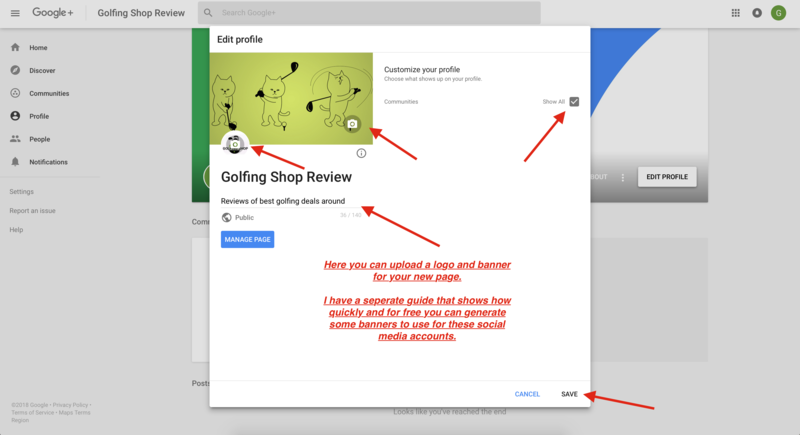 Taking the time to do this for all your pages is really important to make sure you get exposure on social media. 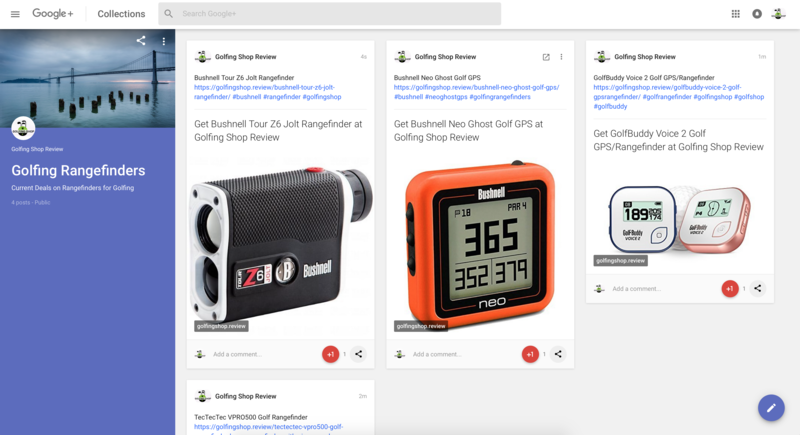 Sharing your Fresh Store Instant RSS Product Feed to Google +. 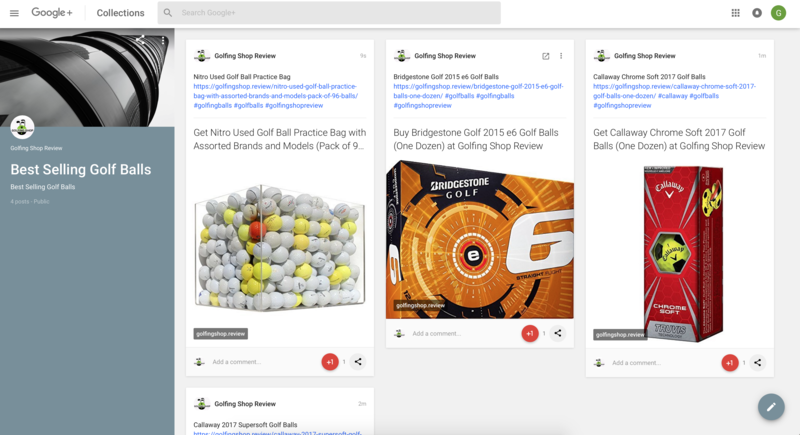 One thing you can quickly setup to fill in your Google + feed is posting your FSI products to your Google Plus Page. 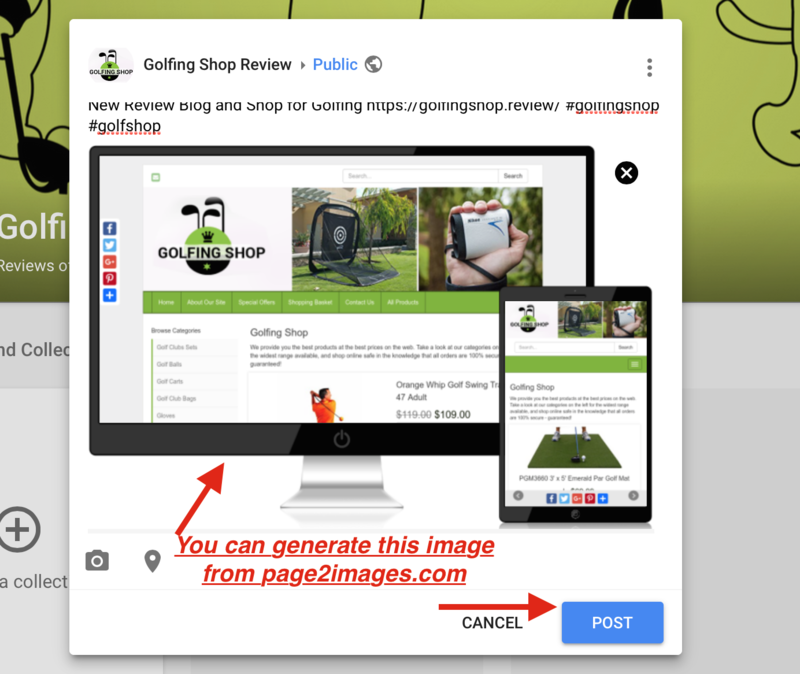 This will work with any RSS feed provider who will pull your RSS feeds and share on social media accounts.